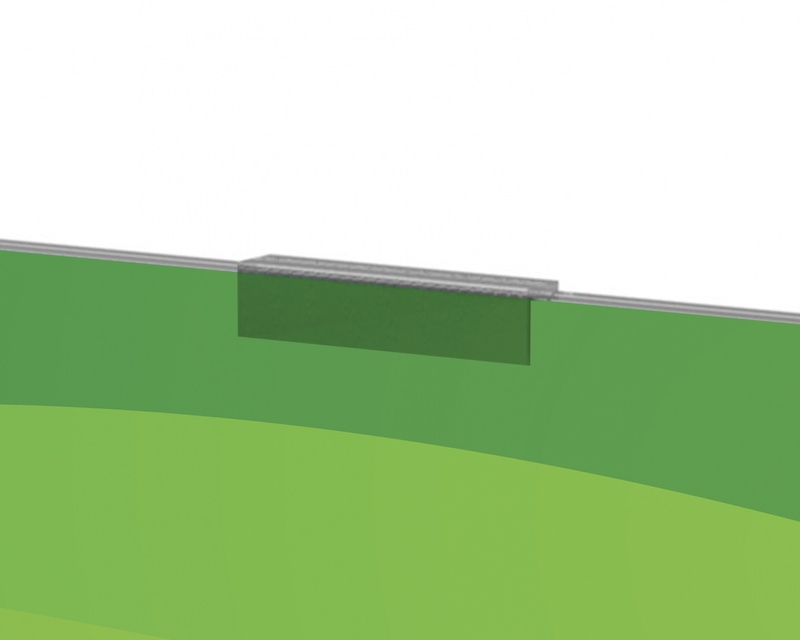 Commonly found in the window of your local Estate Agent, our Tensioned Cable Displays offer great flexibility and visual impact for very little outlay. 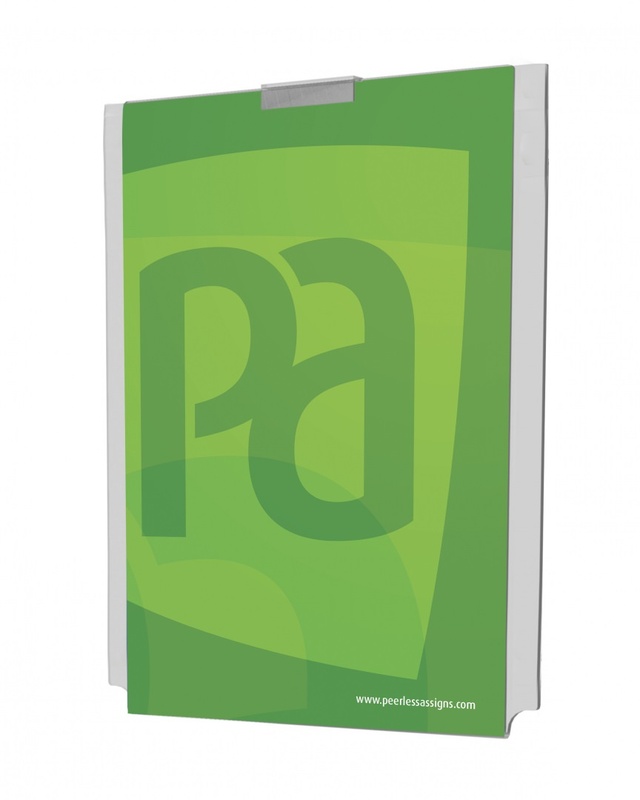 They are lightweight, cheap and easy to install and offer easy poster changing to ensure that constantly updating your POS doesn’t become a chore. 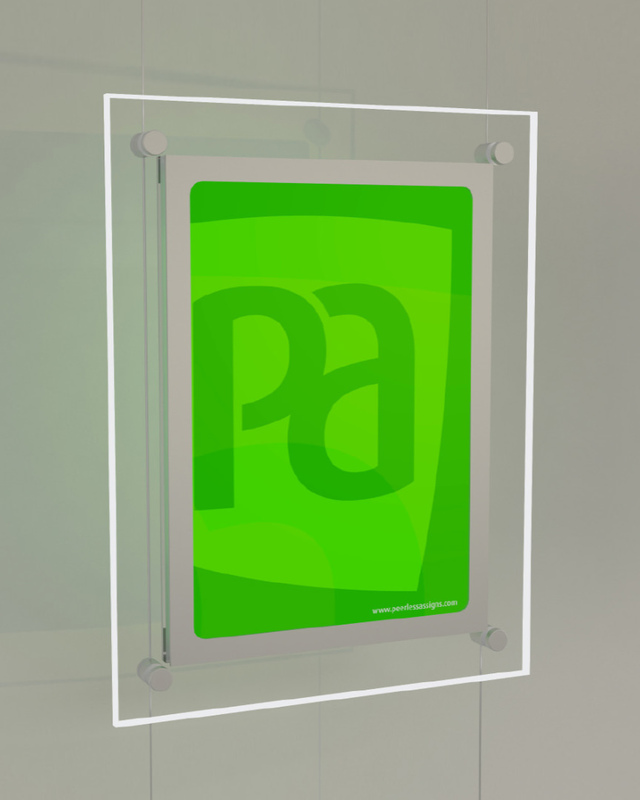 At Peerless-Assigns we offer a large array of quality parts and fittings, ensuring our tension picture hanging systems complement our wide range of poster frames and lightboxes perfectly. 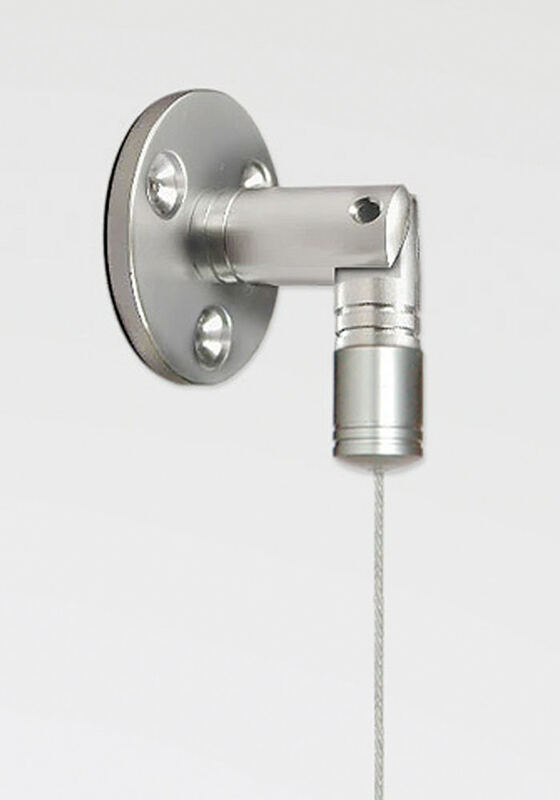 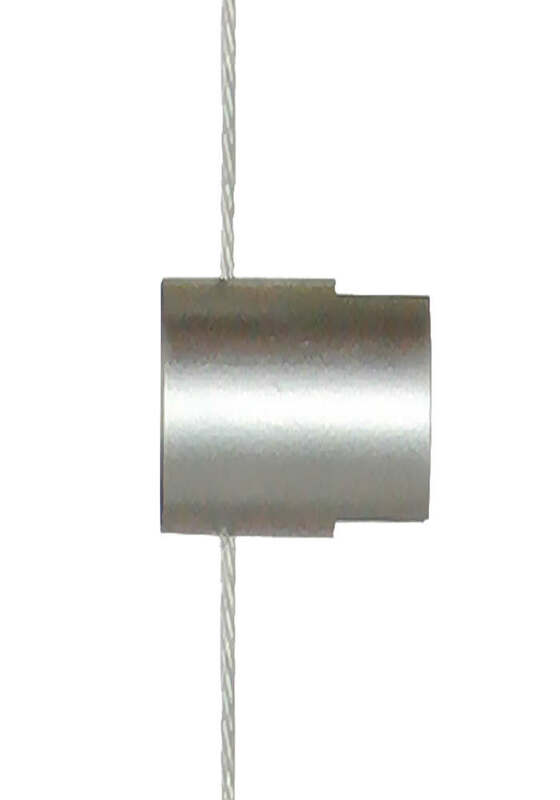 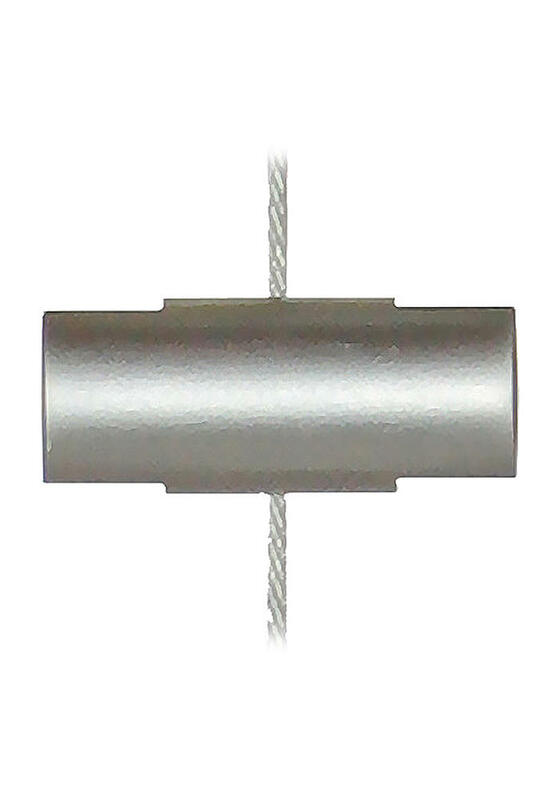 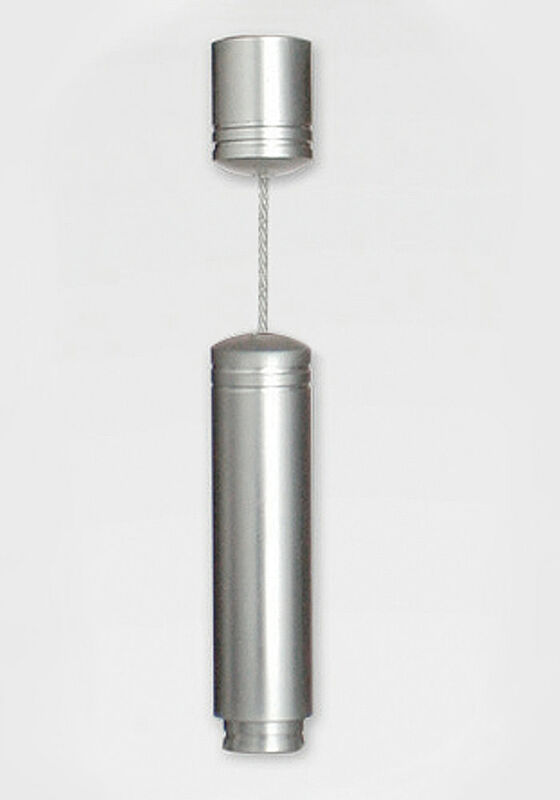 Our tensioned cable displays use innovative anodised aluminium fittings which allow you to fix wire cables simply and effectively between floors, walls and ceilings. 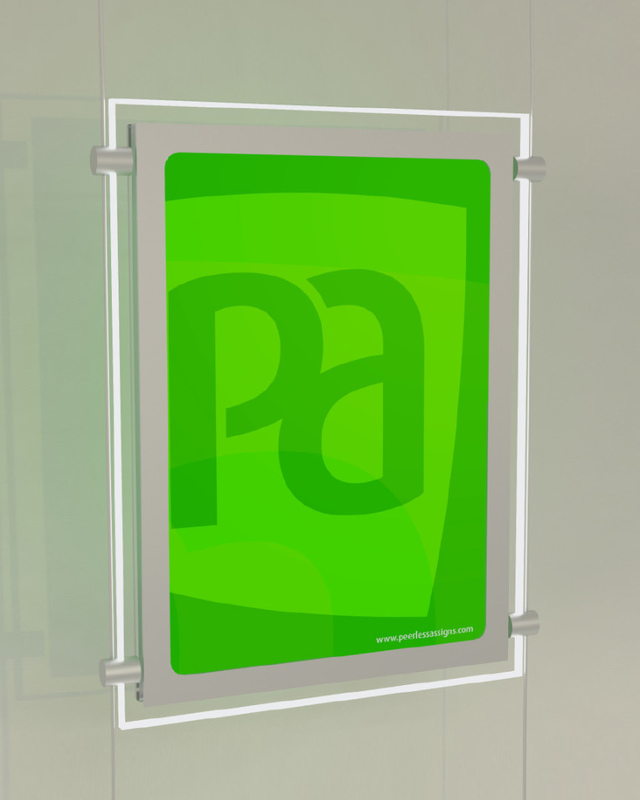 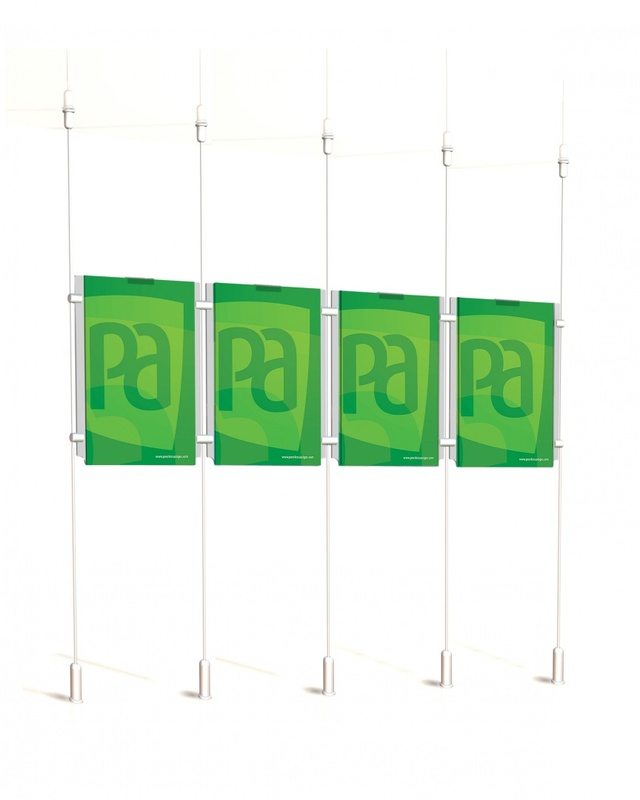 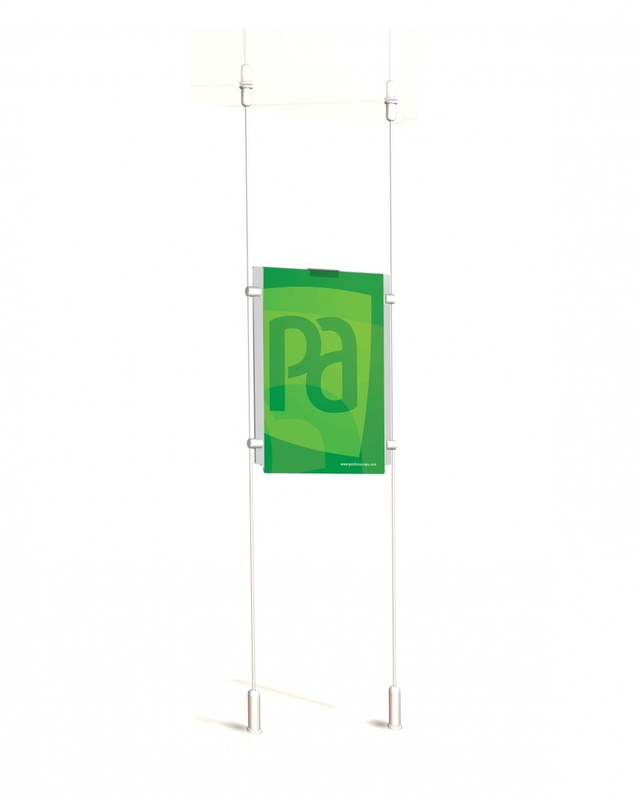 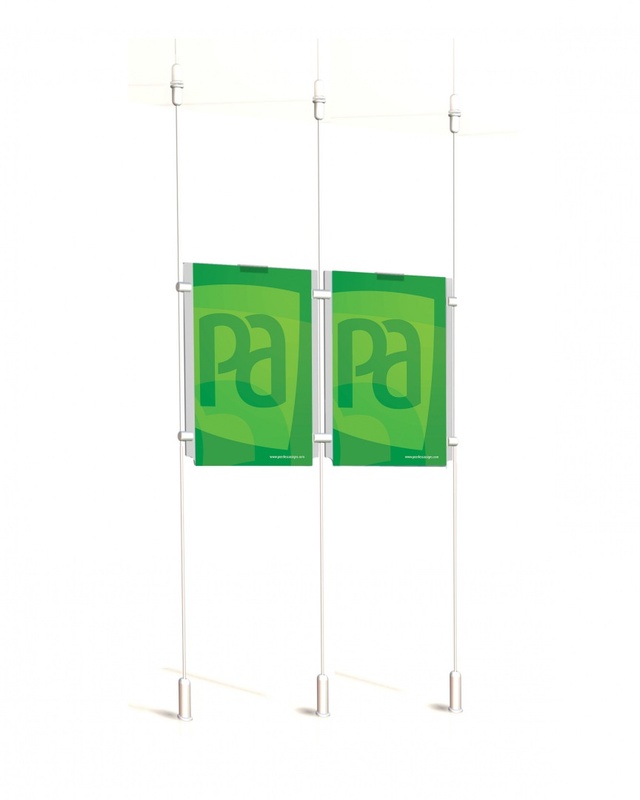 The standard size provided is A4 which is perfect for use in estate agents’ window displays. 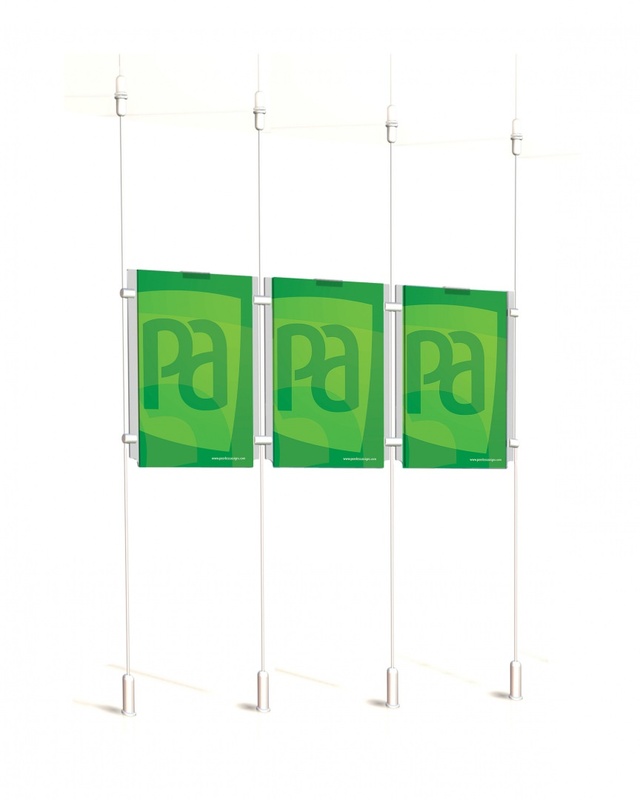 A1, A2 and A3 panels are also available.